On 21st January 2019, Cork Institute of Technology’s Nimbus Research Centre, sponsored by SteriTrack (MatrixIT), will host Beyond IoT 2. The event will once again take place in the state-of-the-art conference centre in Páirc Uí Chaoimh in Cork. Bringing Silicon Valley to Ireland, this event offers a unique opportunity for multi-nationals, SMEs, start-ups, entrepreneurs, and academics to hear what international, battle-tested entrepreneurs, technologists, investors, and dedicated researchers expect from the next wave of technology innovation and investment, and to learn how their organisations can benefit. The sold-out inaugural event in January 2018 was hailed as a tremendous success. Nimbus aims to capitalise on this success and deliver an even bigger and better event in 2019, starting with an impressive line-up of speakers from across the Atlantic and Europe. Attendees will include researchers, investors, entrepreneurs, academics, start-ups, business owners and top executives from large multinationals. The line-up for 2019 has been expanded to bring technology gurus from Silicon Valley and other global players to Cork. It includes Vitaly Golomb, who addressed Beyond IoT 2018, and high-profile speakers from Silicon Valley such as John Biggs (TechCrunch), Dave Troy (the man who saved Twitter! ), Jon Soberg (Expansive Ventures), Stuart Hillston (ConCap), and Helen McBreen (Atlantic Bridge). Clinics will provide a unique opportunity to get expert advice from field experts in technology, investment, funding avenues, entrepreneurship and academic research. These sessions will provide invaluable advice and guidance on how attendees can facilitate investment, drive technology innovation, create collaborations, and foster new commercial relationships. The event is approved by Engineers Ireland providing Continuous Professional Development (CPD) in areas relevant to the professional development of engineers. CIT’s Nimbus Research Centre is Ireland’s largest IoT centre and has a permanent workforce of 90 people. Nimbus delivers over 60 IoT projects per annum for Irish industry and passionately believes that it is essential to deliver the best, and latest, thinking to its project partners in industry, academia and funding agencies. The latest Gartner industry report indicates that 8.4 billion connected things are in use worldwide, up 31% from 2016, and will reach 20.4 billion by 2020. With total spending on endpoints and services surpassing almost $2 trillion, this is an essential event for all who want to understand where this new wave of technology and investment is heading and how it can be best embraced and exploited. Start-up companies are encouraged to attend with a full discount. The event proved to be extremely beneficial for networking and forming collaborations, particularly in industry research where SMEs can access funding through Technology Gateways. P.S. 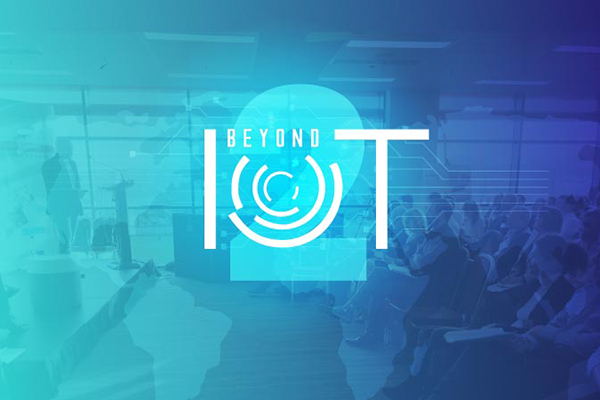 Don’t forget to follow Beyond IoT 2 on Twitter! MET Technology Gateway wins Best Innovation/R&D Award Looking to innovate? Apply to the Agile Innovation Fund!